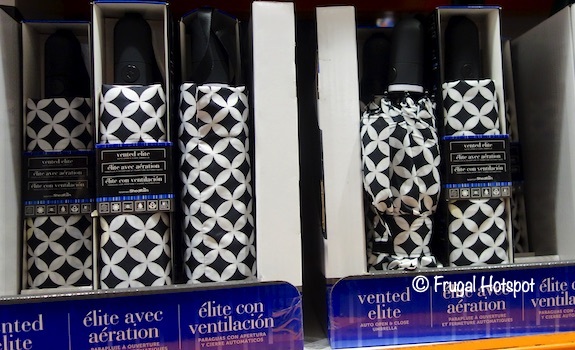 With a vented canopy, fiberglass frame and Nanoskin water repellency, this umbrella helps keep you dry in the rain. It also has UPF 50+ sun protection if you like to use it on a sunny day. The one-touch auto open and close feature makes it convenient and the fabric canopy made from recycled plastic bottles makes it eco-friendly. 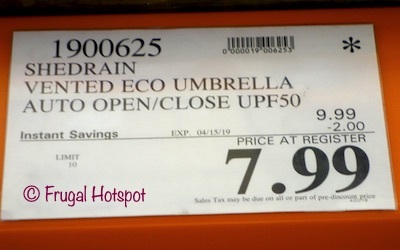 Select Costco locations have the ShedRain Vented Elite Umbrella on sale for $7.99 (after instant savings), now through April 15, 2019. That is $2 off Costco’s regular price of $9.99. While supplies last. Item #1900625.